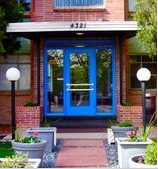 If you are coming from out of town and need to find accommodations during your treatment. We can recommend a couple housing options as well as hotels that are near the TMS Center of Colorado. We also have arranged for a discounted rate with the Fairfield Inn & Suites by Marriott. Use the link below to receive the discount when making reservations.